Almost everyone in the world is either religious, or has their own opinion about religion. Because of this, we thought it would be interesting to survey several people with questions regarding different gods, their appearances, characteristics, and stories involving them. These surveys were conducted on a small Baptist college campus, so the results are most likely skewed. However, many of the answers were quite interesting, so we thought it'd be worthwhile to take a look at how people's perceptions of these gods matched up with historical or mythological fact. 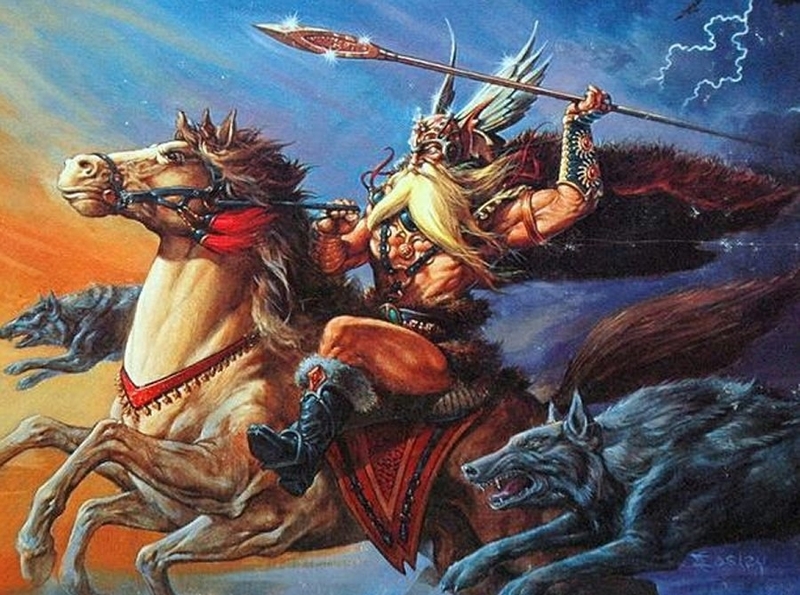 Odin's depictions vary depending on the culture depicting him. He could just as easily be an imposing figure of war, leading the ghostly precession of the Wild Hunt as he could be a cloaked traveler, questing for knowledge. Most artists can agree on Odin having long, white hair and matching beard, usually under some helm or hat, and carrying some spear or walking stick. He noticeably only has one eye, with an eye patch or scar usually covering the wound. The answers to the question of Odin's looks were relatively on mark, with most noting his hair and beard, and his one eye. It's likely that the Marvel movies have had a hand in the proliferation of Odin's visage, since at least one student answered that Odin looked like "Anthony Hopkins, but bigger." Less popular were the stories and myths Odin stars in, with almost no one in the surveyed group being able to name one. Two students cited Odin's doomed battle with the dread wolf Fenrir at Ragnarock, but this was the only specific story any of the students were able to recall. Some of Odin's more famous stories include him stealing the mead of poetry from a giant's cave, defeating the wise giant Vafþrúðnir in a mortal battle of wits, or hanging himself on the world tree Yggdrsail for nine days and nights in pursuit of knowledge. The most dramatic schism between assumed and known knowledge formed in the questions of Odin's characteristics. 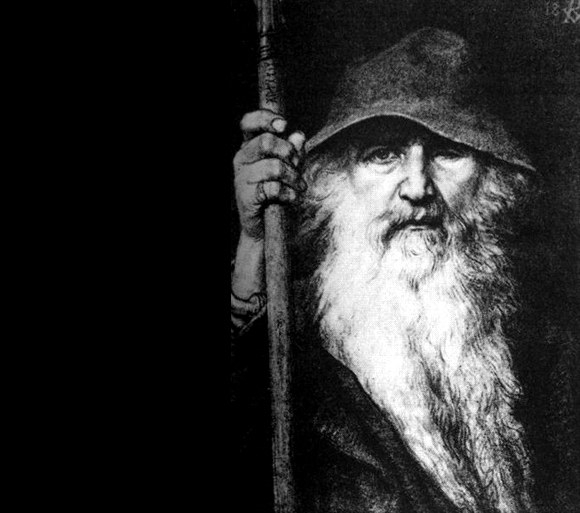 A consensus among the surveyed group depicted Odin as a calm, wise, honorable leader, dedicated to Asgard. This stands in stark contrast of many of Odin's mythological depictions, wherein he shows flagrant disregard for concepts like justice, fairness, or law. He was a grand leader sometimes, but often left Asgard for weeks or months on end, even being banished from the world of the gods for a full decade at one point. Odin is ultimately a knowledgeable trickster archetype, and the patron of both leaders and outcasts. Also he was Loki's brother, not his father. 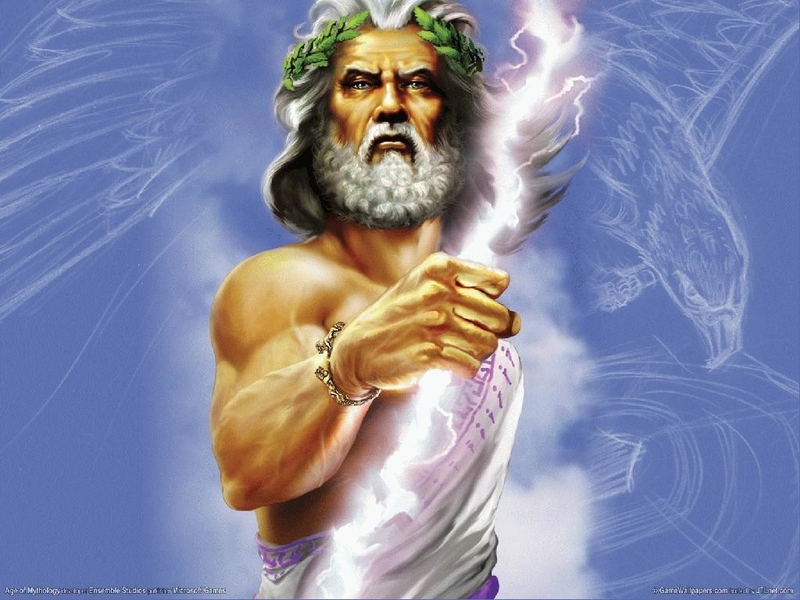 Zeus's multiple depictions in pop culture doubtlessly helped with the general base of knowledge concerning him. 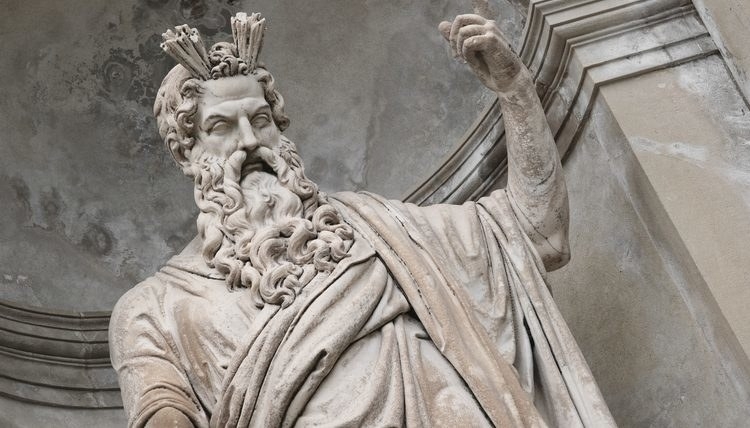 Zeus was depicted, in history and in our survey, as a tall, tan, muscular figure, with a short-cropped beard and usually short to midlength hair, though there was much thought that his hair was white. Historically, it was probably closer to gray or black. We blame Disney for this mistake. There weren't many stories mentioned when we asked students about Zeus. One student mentioned his birth and his freeing of his siblings, both from the belly of a titan. There was some discussion of his fighting the titans, in the Titanomachy. Zeus is not a main figure in many myths excluding the two big battles, but he is often present as a judgmental figure and carrier out of punishment. The main characteristic brought up in our survey for Zeus was his promiscuity. This is pretty accurate. Zeus, in pretty much any incarnation, cannot keep it in his toga. One of the more bizarre ones sees him turning into a snake to force himself on another snake. Virtuous, he was not. Jesus, in a historical sense, was a Jewish carpenter that was born in Nazareth, and died during his crucifixion by the Romans. In a religious sense all of these things are also true, but he was additionally God in the flesh, and resurrected after his death to save mankind from their sin. 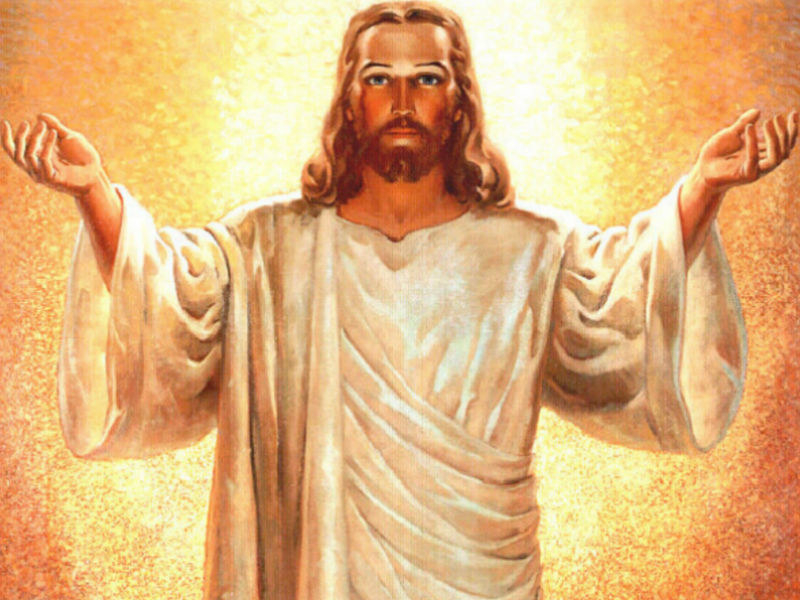 Many traditional depictions of Jesus show him as a white man with long-flowing hair, and a white robe to match. However, this depiction would most likely be false. 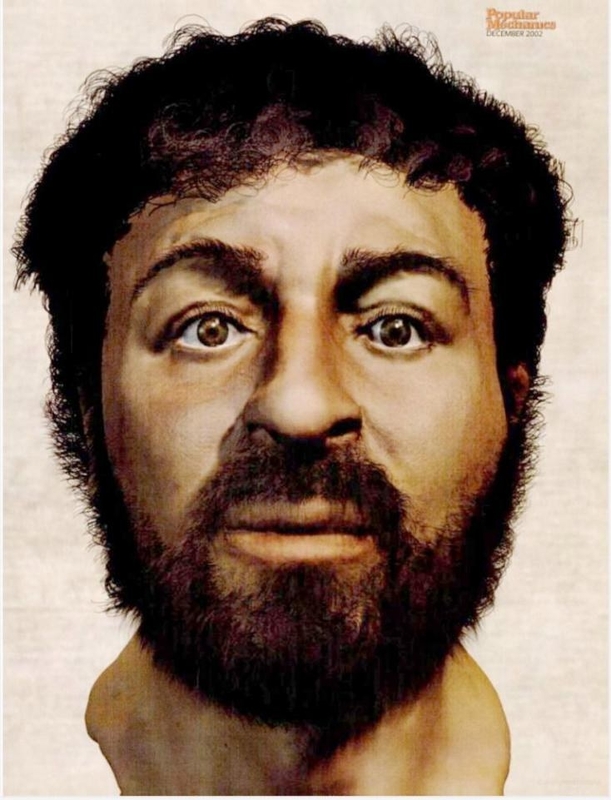 Several of the people surveyed proposed depictions that would be more legitimate, believing that Jesus had darker skin, a dirtier appear (due to being a carpenter), and a Middle-Eastern complexion. In regards to what Jesus did, everyone agreed that he died on a cross for our sins. However, several people mentioned other stories and miracles involving him, but all agreed that the crucifixion and resurrection were the most important. The characteristics were also pretty unanimous, with people saying he was compassionate, forgiving, humble, just, and gracious. These results lead us to believe that the personality and actions of Jesus, according to the Bible, are pretty concrete. However, there is more obscurity regarding his appearance, with traditional inaccuracies causing some to have inaccurate ideas about his looks. In Islam, some supplemental Hadith (book of the Qur’ran) explicitly bans the drawing or depiction of images of Muhammad. However, this ban does not include calligraphic representations, and thus these can be found almost everywhere a visual description is needed. They are also integrated into Middle-Eastern art and architecture: paintings, tapestries, tiles, walls, inscriptions on buildings, and other visual aspects. What stories do people think of involving this figure? When thinking of Mohammed, many think of kindness and forgiveness. More than 1400 years ago in Arabia the people were living very much in fear. They feared their neighbors, other tribes, and even their idols. For this was the time before Islam. The Arabs were worshipping idols. In their ignorance, they would go so far as to bury their newly born daughters alive. As Islam began to spread among Arabs, such cruel practices stopped, for Islam taught love, peace, kindness, and respect. Prophet Muhammad himself was a very kind and loving person. He treated everyone, young and old, with good character traits such as kindness, respect, integrity, and care. Because Prophet Muhammad spread the word of God, and was changing the lives of Arabs for the better, some Arabs believed that their old idols were losing power. They disliked Muhammad and planned to kill him. However, every time they tried, they failed, and this angered his enemies even more. So instead of killing him, they decided to try to harass him in every way they knew. In one example, an old woman continually threw trash at the Prophet every time he passed her house. He passed it daily, as it was on the way to the mosque. He would pass silently without showing any anger or annoyance. One day, the woman was not there to throw trash at him. He stopped and asked the woman’s neighbor about the woman’s well-being. The neighbor informed him that the woman was bedridden with illness. The Prophet politely asked permission to visit the woman, and entered the house. Upon entering, the woman thought he had come there to get revenge for all the times she had thrown trash at him. She was utterly unable to defend herself, and thus was worried. The Prophet assured her that he was there just to look after her needs. It was the command of Allah that if anyone is sick, a Muslim should visit him and help where help is needed. This kindness and love of the Prophet greatly moved the old woman. By the example of greatness of Muhammad, she understood that he was truly the Prophet of God and Islam was the true religion. She accepted Islam at once. What traits do people ascribe to this figure?